Impact-A Toilet Blocks are a white crystalline powder, perfumed with a lavender scent made into a volatilizing block and is used to reduce odours in urinals. Ideal for use in industrial cleaning and institutional situations as well as households. 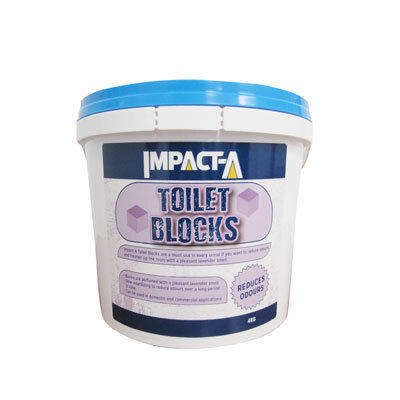 To buy IMPACT-A Toilet Blocks , please use the Store Locator below.